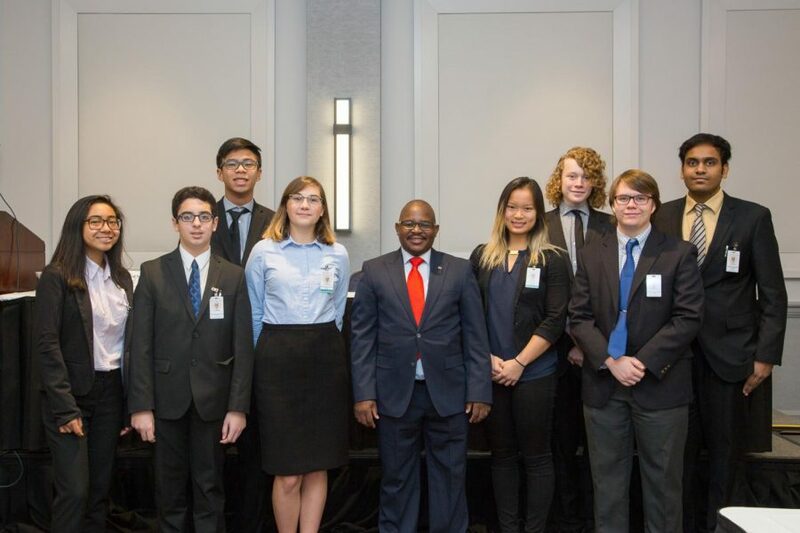 The Niles West Model United Nations team finished off their season at the Northwestern University Model UN conference, which took place from April 12 -15. In Model United Nations, students represent the various committees of the United Nations, such as the General Assembly or Disarmament and International Security Committee or the Security Council. The committees range from topics such as the refugee crisis, climate change, or nuclear weapons. The Niles West Model United Nations had an exciting year, traveling to a variety of universities across the Midwest. The team took delegations to the Washington University Model UN Symposium, the Chicago International Model UN, and Model UN University of Michigan Ann-Arbor. Members learned a lot of skills valuable to student and general life throughout this past season, according to junior Umar Ahmed. This past conference at Northwestern University was senior Darby Chamness’s last as a high school student. Being a member of the Model UN team has given Chamness a variety of great experiences, such as public speaking and debating politics on a larger scale. The team’s main goal for next year is to expand since many members will be graduating next year. Club sponsor Neil Koreman believes the team learned a lot this past season and hopes to expand on their newfound experience next year.